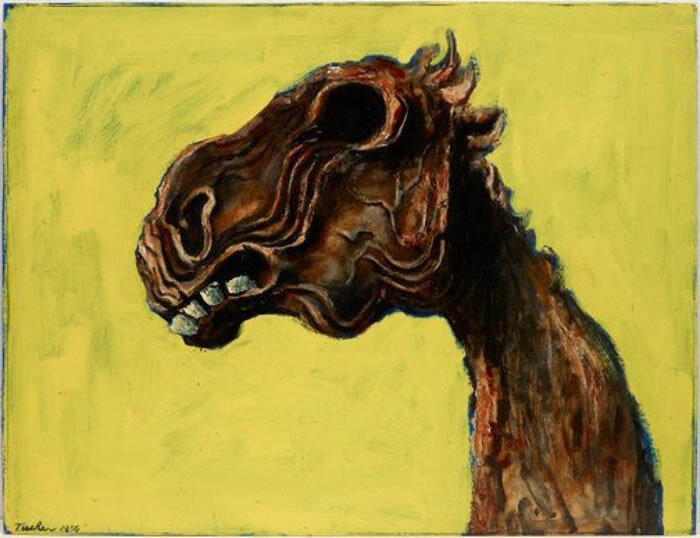 Apocalyptic Horse is an exhibition exploring psychology, the body and the landscape-and the theatre that ties them together-through the artistic practice of Albert Tucker. The project takes its title from a 1956 painting by Tucker in which surrealistic tropes gallop through a nightmarish world. Using this image as a starting point, the exhibition navigates lines of convergence and displacement within the Australian landscape and psyche. Tucker's work is brought into dialogue with pieces by other artists including Patricia Piccinini, Hayley Millar-Baker and James Gleeson, offering a prism through which histories can be reexamined, and ideas of apocalypse-both personal and collective-can be explored.